This year, I am delighted to announce that I am taking part in Multicultural Children’s Book Day, which is celebrated each year in a bid to raise awareness of books that celebrate diversity, and which aims to get such books into the hands of both young readers and teachers. As part of this, it has been my pleasure to review books by Greek authors. I have never made any secret of my support of multilingualism, and I believe that teachers could support multilingual children by encouraging them to read in their minority language. For those that have Greek-speaking children in their classrooms, here is a book to recommend. 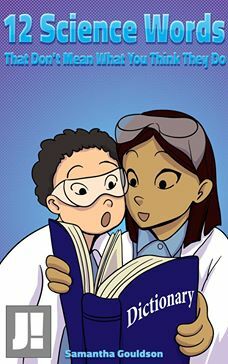 This is a book for early readers who have got past the basic stage and are ready for something a bit more challenging, while still enjoying a wealth of illustrations. It is a lovely story, encouraging children to think of kindness and what it really means to be courageous, and find one’s inner strength, through a fun pirate story. Building on these themes, there is an undercurrent of suggesting that children should not judge by immediate appearances, with both monsters and pirates not being quite as they seem at first, not to mention the hidden potential of sandwiches! Children can set sail with Captain Rake, an unusual pirate whose problem is that he is afraid. Along with his friend Christopher, they can follow through his adventure as he overcomes this problem. On discovery of a message in a bottle, he sets off in search of a monster, who he hopes will give him all his courage in return for a joke. However, the tale is not entirely straightforward, and there are lively twists and turns to give depth to the tale and keep children’s attention. It will stimulate the young imagination through its fresh and different approach to the genre: unlike many other pirate stories aimed at this age group, this one is not stuck in a pseudo-Middle Ages environment without technology, but even mentions TV cameras and other modern devices that children these days can relate to. The writing flows beautifully, in a light and playful tone with a varied language, from words to sentence structure, to help young readers to enrich their vocabulary and consider alternative ways to express themselves. The illustrations by the talented Christine Menard are bright, cheerful and colourful, full of a vibrance that will appeal to children and which suits the story very well. Argyro Mountaki is a Greek author of children’s literature, born in Chania on the island of Crete. She is also a teacher of German language in public schools in Greece. She runs an internet site for parents and she writes book reviews published in distinct newspapers and internet sites. She has studied German Language and Philology and also she has two Master Degrees, one MBA and one in Literature, and is soon to finish her PhD Thesis in Philology. She has taken part in many conferences as a speaker concerning philological matters. She has been writing books since 2005. Her books are published by Patakis, Metaixmio, and Minoas Publications and are beloved by children. She is married and has two children. There are many recipes for the humble leek; from pies to soups to risottos and much more. It is even an emblem of Wales, and its popularity has long been established. So it is unsurprising that it should appear in many forms in Middle English in which we see lēk, lec, leike, leick, leok, lī̆k, leac and other similar spellings. The common feature to all is the presence of /l/ and /k/ phonemes. (He greatly loved garlic, onions and leeks). In this particular quote, all the words are easily recognisable to speakers of Modern English. But let’s compare a sentence from 1150, a little earlier. Nim piper and alewen and sealt and leaces sæd and meng eal togadere. This comes from the Peri Didaxeon, a twelfth century medical tract. The title is from Greek and means ‘On Teaching’. Already at this time, the language is harder to recognise. Going back a little further, to Old English and the ninth century, Aelfric’s Grammar, a work designed to help students learn Latin, helpfully includes the example ðis leác hoc porrum (this leek). Following on from that, there is a quote from Leechdoms, Wortcunning, and Starcraft of early England, a collection of works in Old English also from the ninth century, but published in the eighteenth century. There are cognates of the word in other Germanic languages, such as Old Norse laukr, meaning leek or garlic; Modern Icelandic leki – ‘leek’; Danish løg, Swedish lök, meaning ‘onion’; Dutch look, meaning ‘leek’. Old Saxon had lok; Modern German gives us Lauch. All of these point to a root in Proto-Germanic: *lauka. Unfortunately, this is where our trail ends. There are no indications of another source, and words in Finnish (laukka), Russian (luk) and other Slavic sources appear to have been borrowed from Germanic. Suggestions that it may be related to ‘lick’ cannot be supported. Cheese comes in many varieties and there are a range of flavours and aromas associated with it. It has long been part of our diets, as attested to in texts such as by Hippocrates from around 400 BC. But of course, Hippocrates spoke Greek and his writing was in Greek, which means that he used the word τύρον [tyron]. What of the English word; cheese? What a small but smooth word this is. It flows beautifully off the tongue and onto the plate. Or perhaps indeed onto the palate! And it too is not a modern invention. This word has been with us for a very long time. Let’s take a look at the Peterborough Chronicle from around 1160. Þa was corn dære, & flec & cæse & butere. At that time, in the period of our language known as Middle English, ‘cheese’ was cæse, as you can see above, but also chese, cyse, chise. There are references to it in many places, in diverse texts and it appears to have been quite popular. The only thing we cannot be sure of is the flavour! However, the word did not arrive in English fully formed during the twelfth century. Its history goes back further than that, and can be found in Old English texts. In West Saxon it was generally cyse, while in Anglian it was cese, both meaning ‘cheese‘. Here is an example from the Anglo Saxon version of Medicina de Quadrupedis by Sextus Placitus, a fourth century work that was rendered into English during the ninth century. It was printed in Leechdoms, Wortcunning, and Starcraft of early England during the eighteenth century. This seems very recognisable. Little has changed in the intervening centuries, you might think, except the numbers of varieties! But can we trace its history any further? The Old English words came from a West Germanic source; *kasjus, which itself came from the Latin word caseus, which of course also meant “cheese”. This word has spread around the continent, with Käse in German, kaas in Dutch, queso in Spanish, caws in Welsh and also càise in Scottish Gaelic, to mention just a few. On theory suggests that it might derive from a Proto-Indo-European root *kwat, meaning “ferment, become sour”., although there seems to be some dispute about that. Whatever the truth of this theory, in my humble opinion this is where the ancient Greeks made a huge mistake. Forget nectar, forget ambrosia. The food of the gods is cheese. Yesterday I heard that my articles containing phrasal verbs were very much appreciated. I stepped up to the challenge straight away, barely missing a step, to write this. In step with what has gone before, I thought to myself, it is easy, after all, to tread in one’s own steps! It is falling into step that poses more of a challenge, although once you are in step, it is simply a matter of habit to keep step, rather than breaking step. When dancing, you must keep in step, and it is also a good idea to mind your step to avoid stepping on people’s toes. You should also mind your step in a new workplace when you are not sure how to behave, especially when you have the feeling that everyone else is one step ahead. If they give you knowing glances and raised eyebrows as you step into the room, this could make you feel out of step, but if you take a step back, you might see things differently. You might however realise that you are in fact out of step and everyone else is thinking along different lines, perhaps stepping in a different direction. This seems to happen often in politics – the main candidate is out of step with the younger generation and has to watch her step to avoid causing offence, as, step by step, she gets closer to stepping into office. Stepping into the shoes of the Prime Minister is not an easy task, and one can only hope you won’t be forced to step down, or indeed step aside, having climbed the steps to such a position. One you are there, it is time to step up to the plate. But take your time: there is no need to step on it! Here, the word is used to mean ‘pertaining to roots”. This makes sense, as the word was taken from Late Latin radicalis, meaning ‘of roots/ about roots/ having roots’. This comes from Latin radix, meaning ‘root’, and was formed from the genitive form radices. The source of rǽdic is the same as that of radical: Latin radix. There are a number of cognates in other languages which have allowed us to trace it to Proto-Indo-European and the root *wrad, meaning none other than ‘root’. We can see examples in Greek ρίζα [riza], Gothic waurts, Old English wyrt and wrotan, Welsh gwraidd and others. You can read more on the word root here. The last tendrils of winter, ruling still. I did tell you that launch was used to mean Jump! How very appropriate for our new venture with Jump Magazine, which is now launching its first books! Check them out here! Fed up with passive literary girls? Had enough of stereotypes? Try this girl-positive story, featuring Lucy, who is limited only by her mobile signal! 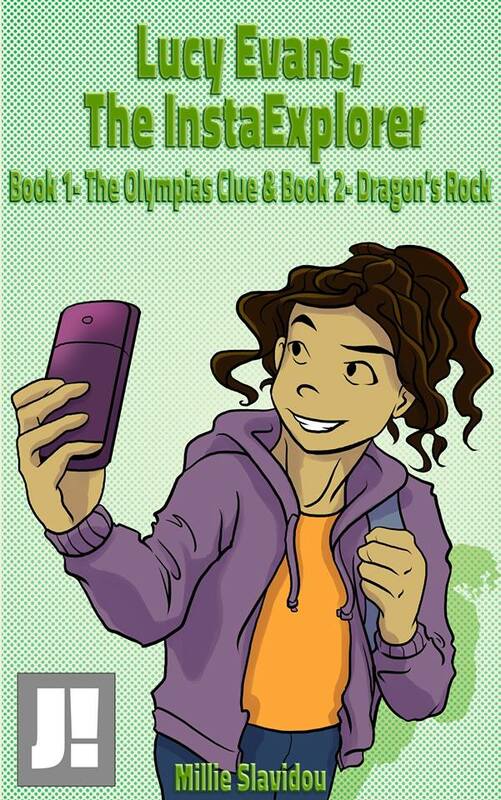 Book One: Follow the adventures of Lucy, our hi-tech explorer, as she wields an i-Phone through exciting archaeological discoveries in sunny Greece, in a corner not much frequented by the British tourist. Also coming soon on Jump Mag! This is a great little vocabulary booster, aimed at explaining to children that words they may already know, such as “proof”, can have a different meaning from what they have learnt when used in a scientific context. Written in a clear, concise manner, this is a great way to introduce children to this concept. A great look at history via less well-known figures. Well-researched and written in a style designed to attract children and interest them in the past, in language that they can understand but that does not patronise them.